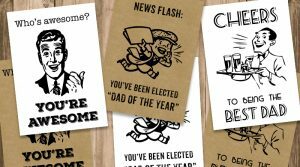 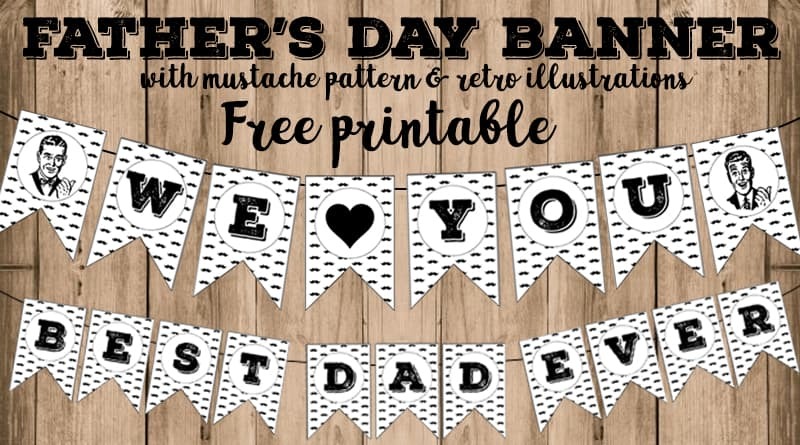 Here’s a free printable Father’s Day banner that you could use to surprise Dad on this special day, or even any other day (it doesn’t clearly state “Happy Father’s Day”) and decorate your house for this festive occasion! 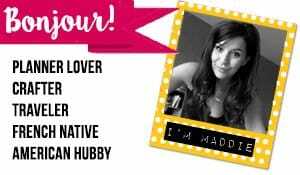 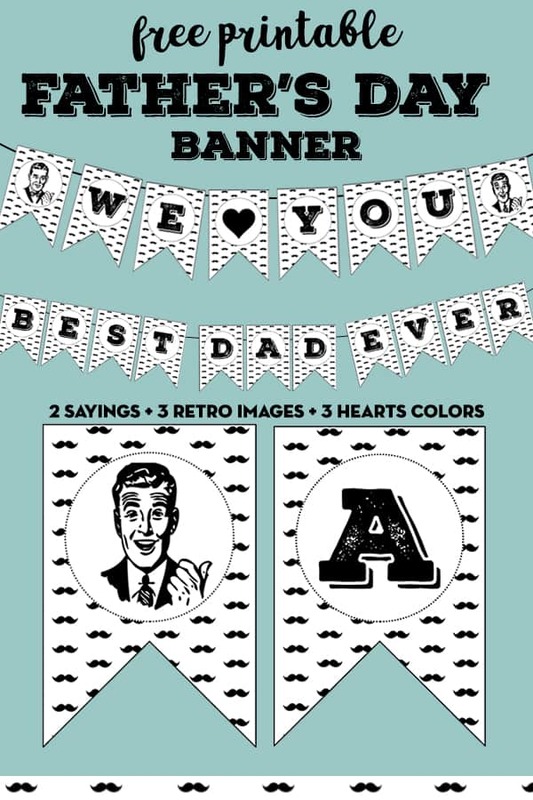 You can mix these different elements to create the banner of your choice: Use one or both sayings, use some or all of the retro images/hearts, etc. 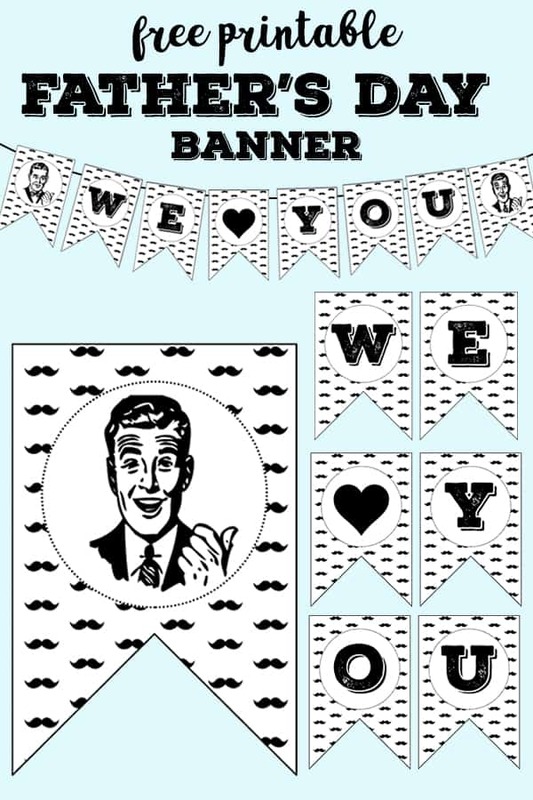 Each pennant includes a black and white mustache background! TIP: The background of this banner is white and the design is black and white, which means that you can print it on any colored paper, kraft paper, white paper or other – whatever fits your decoration best! 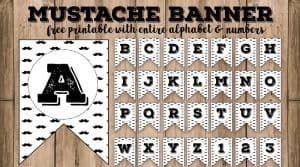 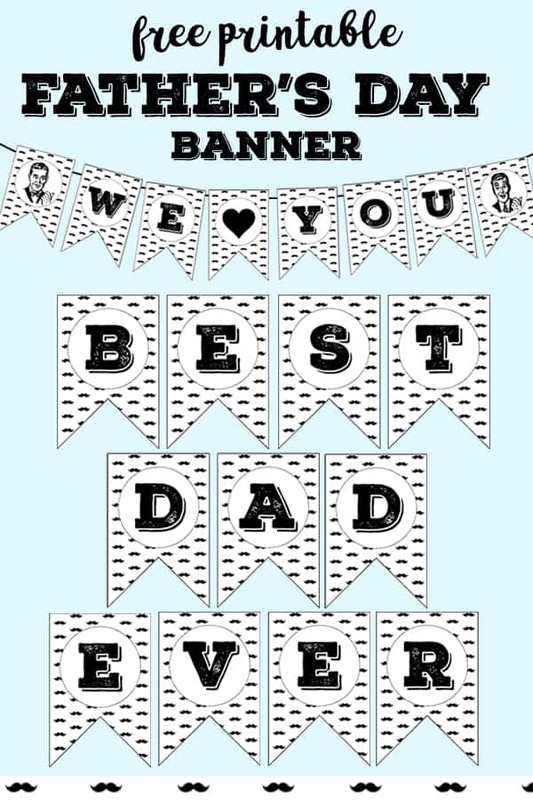 If you want to customize this banner, by adding Dad’s name or to use it for a different occasion, make sure to check out the matching Mustache Alphabet Banner (includes whole alphabet and numbers). 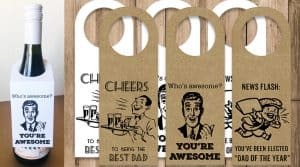 Make sure to also check out the matching Wine Bottle Gift Tags and Father’s Day Cards I created.